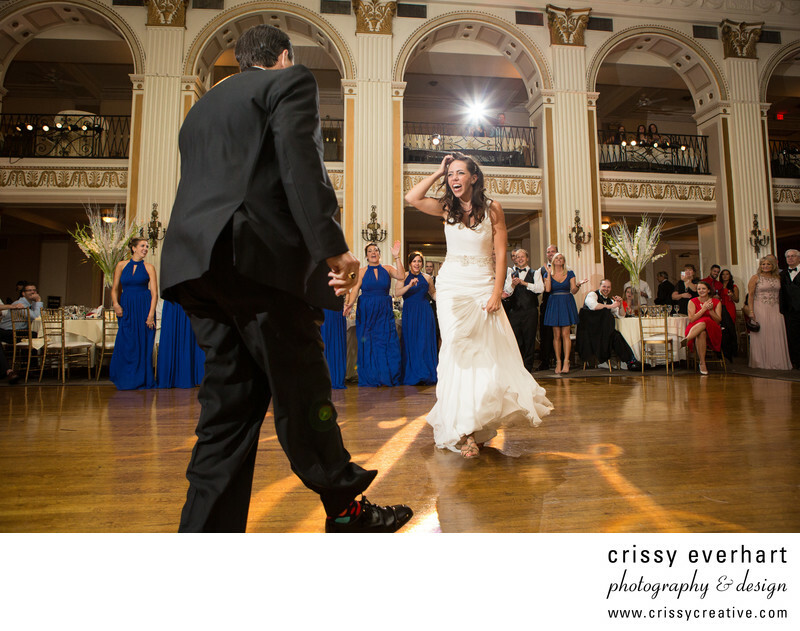 A bride from West Chester dances with her father at the Ballroom at the Ben in Philadelphia, PA. Her dad compiled a montage of songs that he sung to her as a child, and as each song switched she would have a fantastic reaction and then start doing the appropriate dance. It was one of the sweetest bride and father parent dances I have ever seen!